And no, we neither paid for or even asked for these statements. Our ‘repaired screen system’ was returned today [we suspect you decided to provide us with an entirely new system as all features of the replacement have seemingly undergone minor to major improvements]. Installation went smoothly… I particularly like the new tensioning system…and we can now once again open our French doors allowing a north country breeze to cool our home naturally. I wanted to personally thank you for honoring your warranty promise as well as making the entire process both easy and hospitable. Over the years we have purchased many items whose warranty promises looked good on the ‘box’ but fell far short when implementation was needed. Your company, Screen Solutions Inc., is at the top of our A+ Satisfaction index. Screen Solutions Inc warrants that the retractable screen products sold by Screen Solutions Inc shall be free from defects in material and workmanship and shall conform to specifications when used for residential purposes only, and installed at the location shown on the original invoice for as long as the original purchaser owns/resides at that location. The word “defects,” as used in this warranty, is defined as imperfections that impair the utility of the product. For the purpose of this warranty any wear of the screen fabric assembly is not to be considered a defect. This warranty is in effect from the date of original purchase provided the product has been used in accordance with the product instructions using generally accepted trade practices and routinely serviced. Routine service would include keeping the rails and screen mechanism free of dirt, sand and debris as prescribed in the “Caring for your Plissé© Screen” document included with the product. 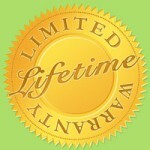 This warranty is for the exclusive benefit of the original purchaser and is not assignable or transferable. If any product component is defective within the terms of this warranty, Screen Solutions Inc obligation under this warranty shall be solely, at the company’s election, to repair or replace any parts deemed defective at no cost. This warranty does not cover normal wear of the screening material assembly(fabric and related items). The warranty does not cover damages to the product caused by improper operation or handling, storage, cleaning, misuse, accidents, intentional human acts, negligence, damage due to normal weathering, chalking, scratching, fading, corrosive atmosphere contaminants (e.g. Chemical fumes, pollution, salt), explosions, riots, civil disturbances, war, misuse or abuse, failure to perform periodic maintenance as outlined in our product Service and Maintenance Guidelines, acts of God, or use of the product in commercial applications. In addition, this warranty does not apply to any Screen Solutions products that have been or attempted to have been repaired, or altered without the company’s expressed written consent. In relation to any claim under this warranty shipping of the product or replacement parts both from the customer to Screen Solutions and from Screen Solutions to the customer is the financial responsibility of the customer. If customer does not have a box sufficient for return of the product Screen Solutions Inc will provide a box at the customer’s expense. If at the company’s election the product is replaced it is the responsibility of the customer to return the defective product to Screen Solutions Inc. Failure to do so in a timely manner shall void this warranty. Any claim under this warranty must be made in writing to Screen Solutions Inc 6705 Hwy 290 West # 502 Austin, Texas 78735, within 30 days after the owner discovers the circumstances giving rise to any such claim, and must include a copy of this warranty document. The retractable screens sold by Screen Solutions Inc are not designed or intended to act as a security device or to prevent access by any individual, small children or animals. Screen Solutions Inc does not warrant that the products meet the requirements of any safety code of any state, municipality, or other jurisdiction. Screen Solutions Inc will not be responsible or liable for loss of use of the subject retractable screen or any costs or damages which are consequential to any defect of the said screen. Liability for any damages, including but not limited to general, special, indirect, incidental, consequential, aggravated, punitive or exemplary damages, and economic loss, as well as for breach of any expressed or implied warranties, including but not limited to implied warranties of merchantability, quality and fitness for any purpose other than as expressly stated herein, is disclaimed and excluded here from, to the extent that such disclaimer and exclusions are permitted by law. THIS WARRANTY IS MADE IN LIEU OF ALL OTHER WARRANTIES EXPRESS OR IMPLIED. ADDITIONALLY, ANY IMPLIED WARRANTIES, INCLUDING THE IMPLIED WARRANTIES OF MERCHANTABILITY AND FITNESS FOR A PARTICULAR PURPOSE, ARE LIMITED TO THE TERMS OF THIS WARRANTY.